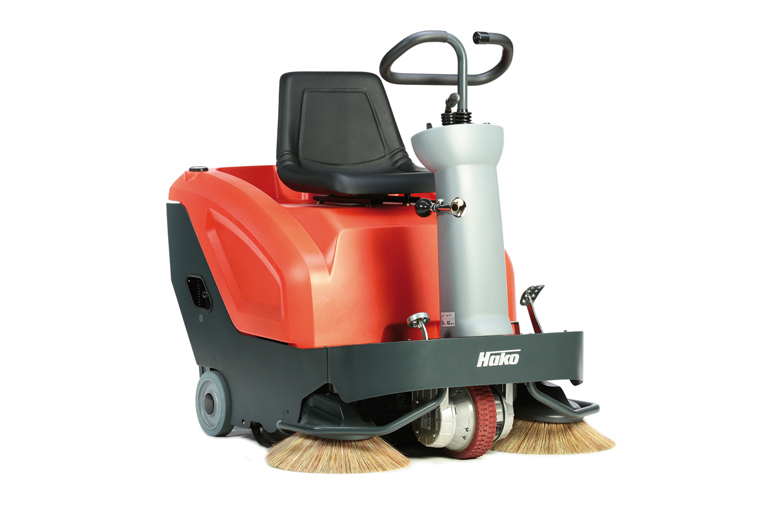 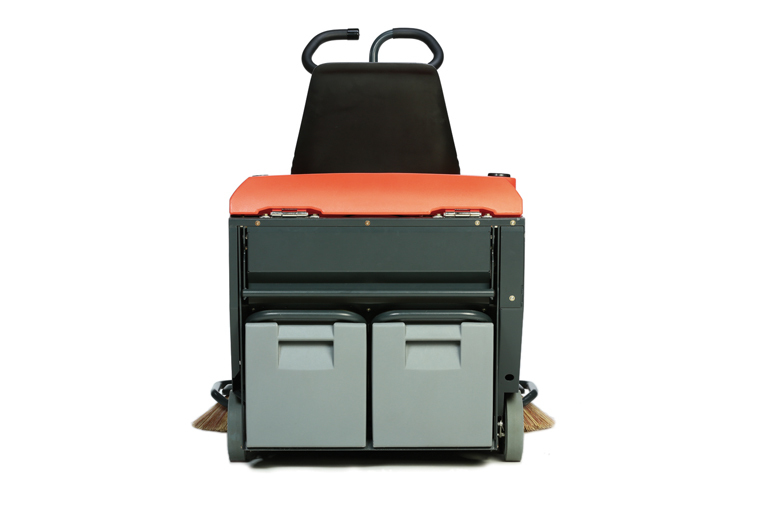 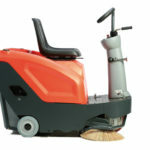 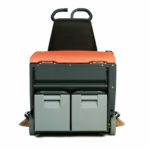 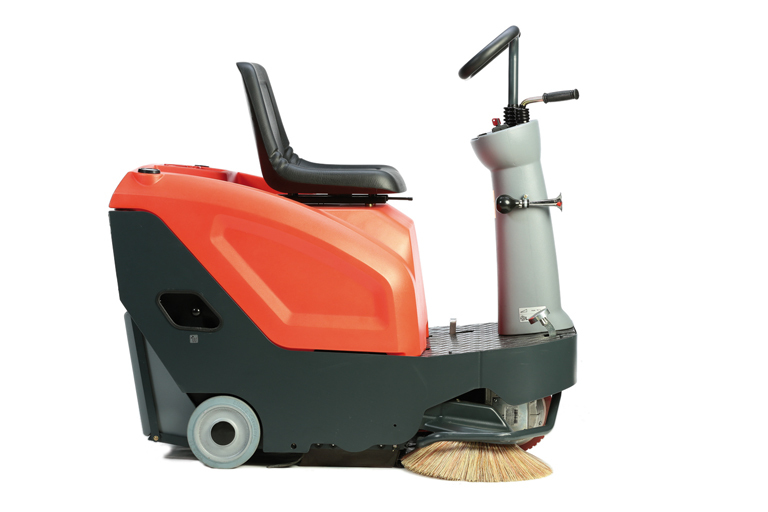 The Sweepmaster B800 R combines the compact dimensions of a pedestrian machine with the convenience and performance range of a ride-on machine. 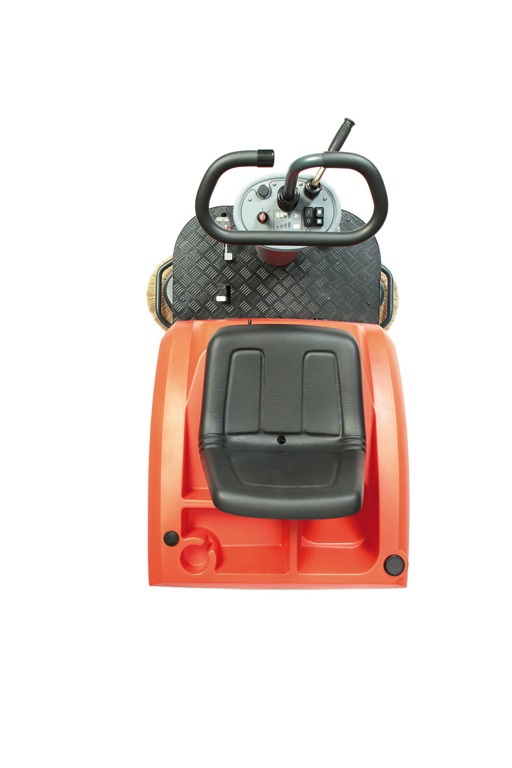 A 600 Watt 24Ah 24 V motor and battery combination provides the power delivery. 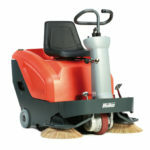 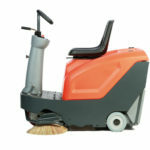 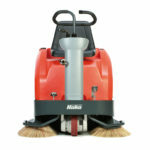 Sweeping performance is 5340 m2/h. 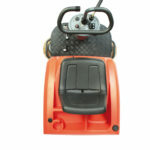 The unit takes up a length of 1,282 mm a width of 908 mm and a height of 1,219 mm. 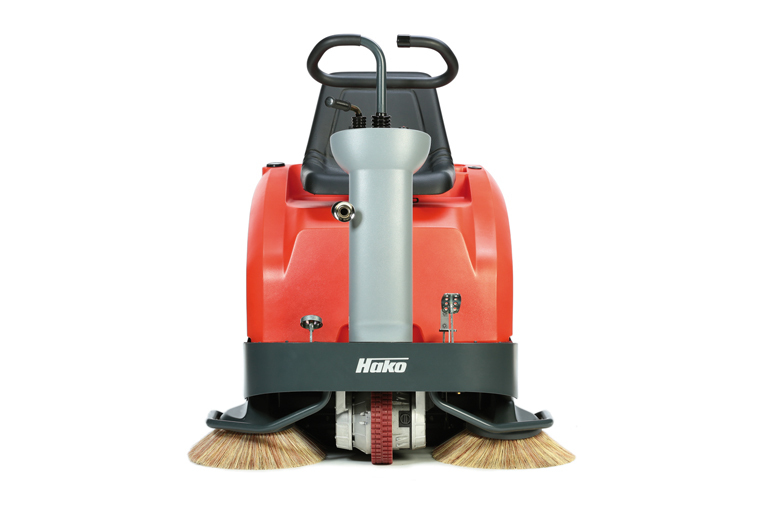 2 x 25L hoppers make emptying the B800R easy. 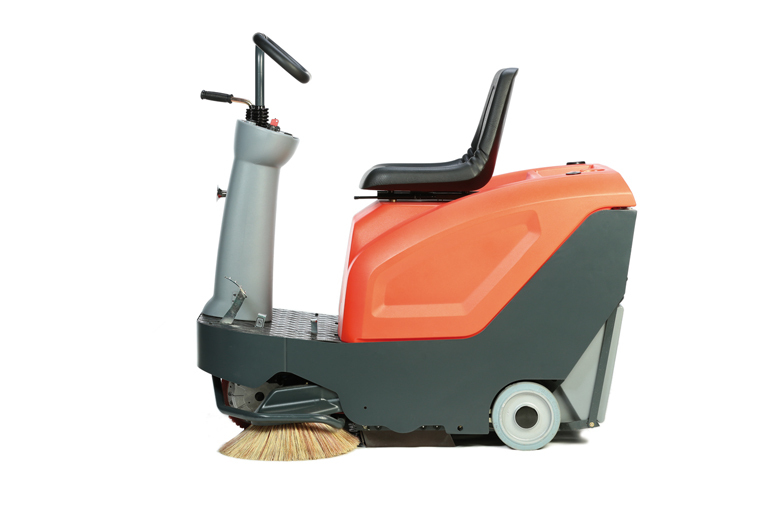 Intelli Flap – a coarse dirt flap that picks up debris even on smooth floors without opening the flap, such as screws and nuts.